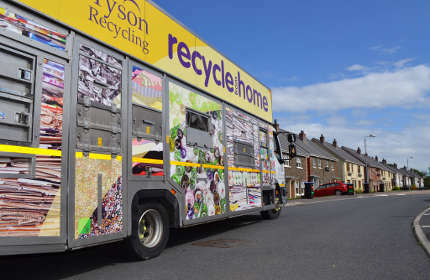 The Northern Ireland firm Bryson Recycling has been named UK’s Social Enterprise of the Year, at the Private Business Awards ceremony in London. 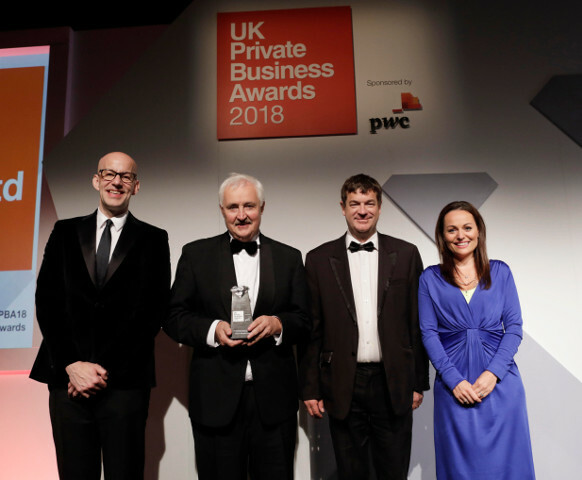 Sponsored by PwC, the event celebrates the best private businesses in the UK, and recognises their commitment to communities and role in supporting the UK economy. The social enterprise, part of the Bryson Group, was created 25 years ago. 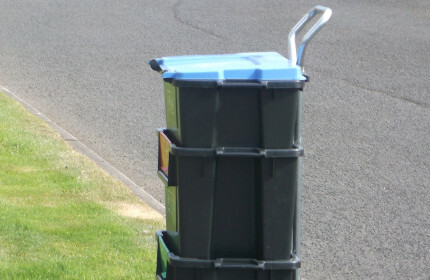 Initially it began collecting aluminium cans, but now, working with a range of local councils, is responsible for recycling materials from 60% of the homes in Northern Ireland as well as running eight recycling centres in Donegal and Wales. In Bryson Group CEO John McMullan’s final days in the role before retiring, stepping on the stage to receive the award was a moment to treasure. I am so proud of the team who have worked with me to achieve this success. Together we have fundamentally changed behaviours regarding recycling. I think a lot of it is down to being early adopters of new technologies which helped us to improve productivity, understand participation levels and work to improve them. “It is an absolute delight to see social enterprises recognised in this way, and my ambition is to see support for this to build, particularly in the public sector. 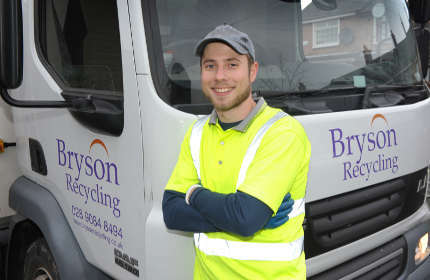 In Northern Ireland which has such a high percentage of economically inactive people, Bryson Group has been able to create as many as 800 jobs, and of them the recycling divison is responsible for about 250. Many of these are at entry-level which delivers meaningful rewards not just for the local communities but also the local economy. 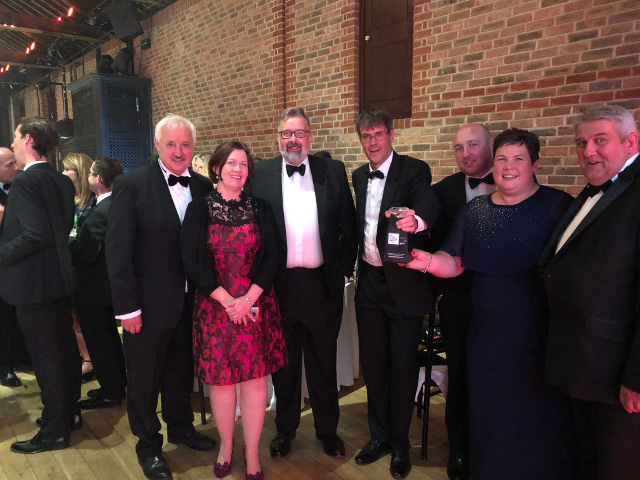 John McMullan (Bryson Group), Siobhan Purnell (Bryson Group), Paul Terrington (PwC), Eric Randall (Bryson Recycling), James Brown (Bryson Recycling), Katy Fulton (Bryson Recycling) and Vincent Thomas (Bryson Recycling Wales). For over ten years, social enterprise has been a key part of our community strategy at PwC and it’s an honour to be able to celebrate the organisations who do so much for Northern Ireland. This is a richly deserved award for John and his team, and will boost the value of social enterprises here in the future. Though John is retiring, he leaves the company in a strong position. It is also a fantastic achievement to be nominated as a finalist and Northern Ireland was richly represented in the Entrepreneur of the Year category with Colin McClean from Bob and Berts. Stephen and Ciaran Devine from Evermore and Sinead and Adam Murphy from Shnuggle. They may not have won but each organisation should be immensely proud to be recognised as being among the best in the UK.